Now embarking on its sixth year Literature Caerleon once again brings together the cream of contemporary Welsh writing suitably augmented by a unique debunker of the status quo from across the bridge. 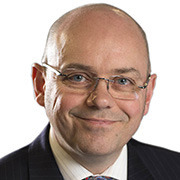 Recently returned from the campaign trail, bibliophile and ITV Wales’ Political Editor, Adrian Masters will be on hand to help guide proceedings. DEREK JOHNS was Jan Morris’s literary agent for twenty years. 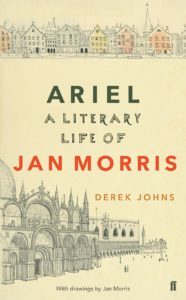 Published to coincide with Jan’s recent 90th birthday, Ariel is not a conventional biography, but rather an appreciation of the work and life of someone who besides being a delightful writer is known to many people as a generous, affectionate, witty and irreverent friend. Jan Morris is one of the great British writers of the post-war era. Soldier, journalist, writer about places, elegist of Empire, novelist, she has fashioned a distinctive prose style that is elegant, fastidious, supple, and sometimes gloriously gaudy. As James Morris she was the journalist who brought back the story of the conquest of Everest in 1953 and who discovered incontrovertible evidence of British involvement in the Suez Crisis of 1956. Her writings on Wales represent the most thorough literary investigation of that mysterious land. 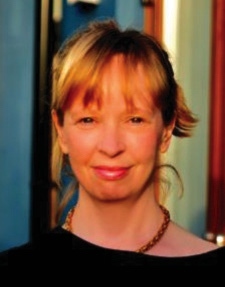 KATE HAMER grew up in Pembrokeshire. Her bestselling novel The Girl in the Red Coat (Faber & Faber, 2015) was a no 3. Sunday Times bestseller and shortlisted for the Costa First Book Award, the Bookseller Industry Awards Debut Fiction Book of the Year, the John Creasey New Blood Dagger and Wales Book of the Year. Her second novel, The Doll Funeral (Faber & Faber, 2017) was released to wide acclaim in February. She lives in Cardiff where she is currently working on her third novel. CYNAN JONES was born near Aberaeron, in 1975. He is the author of four novels, The Long Dry (winner of a Betty Trask Award, Parthian, 2006), Everything I Found on the Beach (Parthian, 2011), and The Dig (Granta, 2014). His latest novel is entitled Cove (Granta 2016). He is also the author of Bird, Blood, Snow (Seren, 2012), a retelling of a mediaeval Welsh myth. 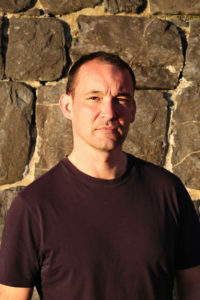 TOM BULLOUGH is the author of four books, A (Sort of, 2002), The Claude Glass (Sort of, 2007), Konstantin (Penguin, 2012) and most recently, the widely acclaimed, Addlands (Granta, 2016). Having spent his childhood in rural Radnorshire and Herefordshire, Tom unsuccessfully tried several times to live in London. 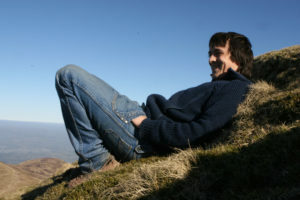 Having worked as a saw-miller, a music promoter in Zimbabwe, a tractor driver, and a contributor to various titles in the Rough Guides series, he now resides in the Brecon Beacons with his wife Charlie and their two small children. He is currently a visiting Fellow at the University of South Wales. 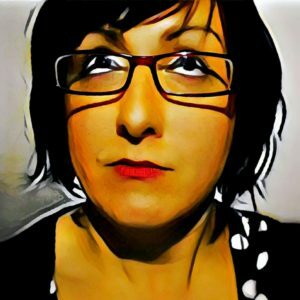 MAB JONES is a “unique talent” (The Times) who has read her work all over the UK, in the US, France, Ireland, and Japan. She is the author of Poor Queen (Burning Eye Books, 2014) and Take Your Experience and Peel It (Indigo Dreams, 2016) which won the Geoff Stevens Memorial Poetry Prize. Mab teaches creative writing at Cardiff University, writes for the New York Times, and recently presented a poetry programme on BBC Radio 4. She also runs International Dylan Thomas Day. 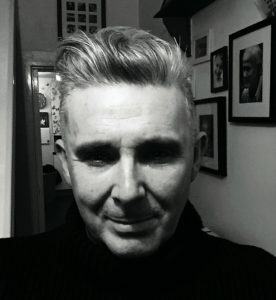 ROBIN GANDERTON has won the PEN Cymru New Voices Award and the Terry Hetherington Award, and been shortlisted for the Wasafiri New Writing Prize and the Hippocrates International Poetry Prize, among others. 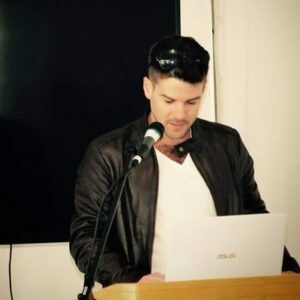 Most recently, his was the only highly commended work from a shortlist of ten in the National Memory Day/Literature Works Best Short Story category. He is currently reading for an MSt in Creative Writing at the University of Oxford. 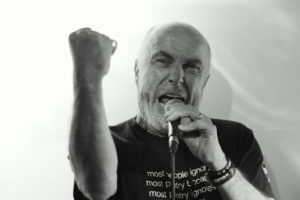 ATTILA the STOCKBROKER The world is going nuts, Attila the Stockbroker is writing about it – and he is more fired up than he has ever been in 36 years as a performance poet. He’ll be performing pieces from his newly published collection Undaunted – the title says it all – extracts from his recent autobiography Arguments Yard (Cherry Red Books, 2015) as well as a few of his songs, accompanied by his trusty mandola, Nelson. Laugh, cry and get very, very angry.